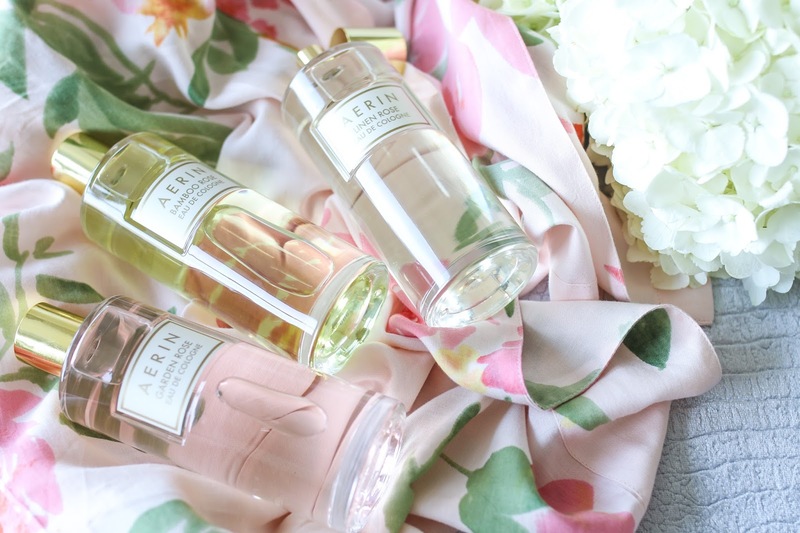 It's no secret that I have an obsession with Aerin fragrances (remember this post and this post). In fact it was this fragrance by Aerin that convinced me that I loved rose scents. After that, I immediately want to try each and every new rose launch that she put out. The newest addition to her fragrance collection are these Rose Colognes which are a perfect option for those that prefer a less concentrated formula that is reminiscent of a gentle body mist rather than a heavy perfume. The three scents are Linen Rose, Garden Rose and Bamboo Rose, and each one is more stunning than the last. Garden Rose blends a variety of different roses with more substantial scents like sandalwood, amber and musk. The result is a bolder fragrance that leaves a hint of floral as it dries down. Linen Rose is the most unique of the three with notes of vanilla, coconut water, amber and vetiver that make it reminiscent of a summer evening by the beach. Bamboo Rose is my favorite because the addition of pink pepper makes it fresh and lively. 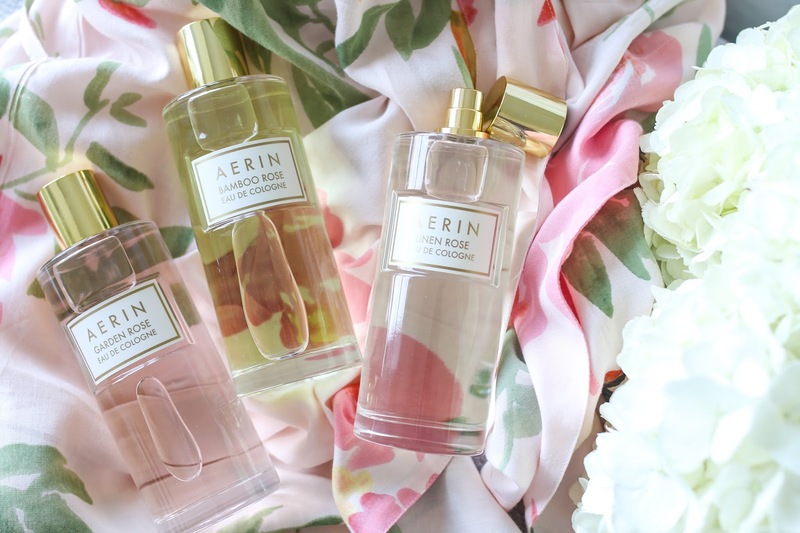 If you are looking to venture into the world of rose scents, any of the Aerin fragrances is the way to go. They are never powdery, old-fashioned or overpowering but rather introduce rose in the most modern and fresh way possible!